This show was a fine mix of screwball comedy and drama. The screwball was played by Choi Se-Won, who seems almost type-cast to play these lovable dufus characters. 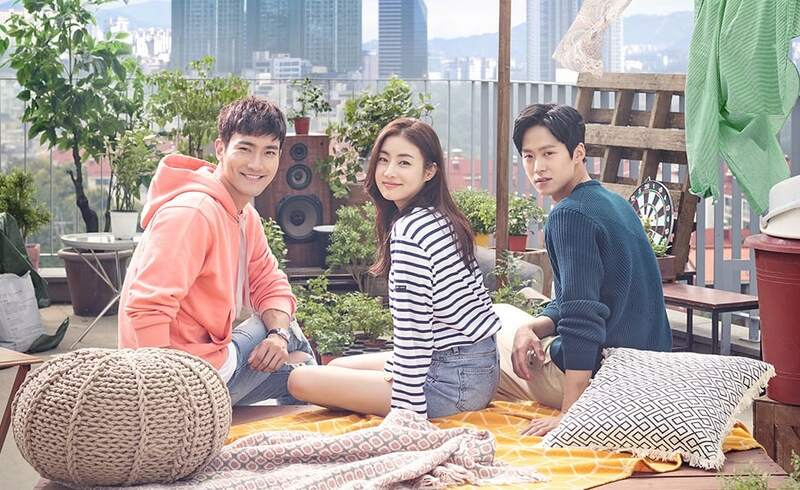 He’s the male lead in this show, though I wasn’t entirely sure he was the male lead until the last episode because the second male lead, played by Gong Myung, had an equally compelling story and, in my opinion, more chemistry with the lead female. This is a story of a bumbling third generation rich guy who’s spent the first thirty years of his life playing with his family’s money. He has no job, no responsibilities, no worries and no sense of the world. His small, extravagant world IS the world, as far as he’s concerned. He’s happily let his older brother play the heir to the company, content to just ride on the coat tails of other people’s success. He even has a personal secretary, the second male lead, whose sole job is to follow him around and clean up his messes. These two men grew up together, one the prince, the other the pauper. Gong Myung’s character is the son of the family chauffeur, a part of the wealthy world of his employers but only as an accessory. He’s a brooding, miserable mess – a stark contrast to the ever-joyously oblivious prince heir. Their friendship is real, but strained under the weight of their different roles and social positions. It isn’t until our prince gets kicked out of the castle that the two finally get to grow as individuals. Between these two men is our lead female. A plucky young lady who refuses to get a full time job, already jaded by the insecurities of the working world after watching her father lose his job just short of retirement. She’s had a crush on the brooding chauffeur’s son for years, but their relationship never progressed past awkward friendship. When circumstance causes her to mistake our prince for a pauper, she bonds with the goofy rich boy in disguise and he, in turn, falls head over heels for our female lead. Our prince sets out to woo this lady with everything he’s got – unfortunately, she doesn’t think anything he has is worth much, so he’s forced to re-evaluate his perceptions of reality. His dogged pursuit of our female lead causes him to do things he’s never done before… like… get a job. It’s a light, cute, goofy story. There are lots of enjoyable characters – the other employees, the families of our three leads, the friends, even the neighbors – and everyone gets fleshed out enough that no one feels like a prop. Choi Se-Won has perfected the art of being overtly hammy and still endearing, though his characters always seem to fall short of being romantic leads. He’s better suited to being the one-sided crush guy, in my opinion, though maybe this is a failing on the writer’s part and not the actor. There’s not a lot of romance in this romantic comedy. For this particular plot, it worked fine. This story was more about having the three leads grow as people and not as lovers. Overall Rating – 7/10. Rich Goofball Learns To Use A Toilet Plunger.